Tips before selecting an EMV terminal for credit card processing. Which is better, desktop or multilane? Which model is right for my business? Should I buy an extended warranty? Merchants should be aware that all terminals in this article are EMV ready, but that doesn’t mean you can buy and start accepting EMV immediately. That’s because every terminal model has to be certified to each processor, and that process is woefully incomplete. Sticking with the top brands, Verifone, Ingenico, and Equinox (formerly Hypercom), and models will be the fastest path to accepting EMV. All processors expect certifications to be complete by the October 2015 liability shift. 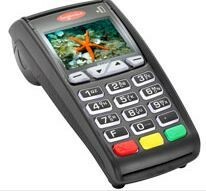 Should I buy a desktop or multilane signature capture EMV terminal ? If you’re not sure, contact a consultant for advice. The more complex your payment needs, the more likely multilane is a better choice. Because every terminal has to be certified to every processor for any connection, please contact your relationship manager before making a terminal decision. For example, the CenPOS certification for Verifone MX915 to First Data is for CenPOS only; First Data merchants can’t buy the Verifone MX915 and use with a different virtual terminal, unless it’s also been certified. Due to time and expense, vendors will likely minimize terminal certifications by model and processor. Multi-lane- They’re more like a mini computer, and with a higher investment, but there are also more efficiencies and other benefits to be gained. For each brand there are multiple choices, the lowest cost option is suitable for any business, and has the smallest footprint. The Ingenico ISC250 and 350 are especially flat and may require a permanent terminal stand. 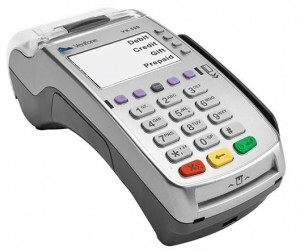 So far, my customers have had no problems with the Verifone MX915 and its EMV certified today. The Equinox L5200 has also been extremely reliable. The L5200 is the lowest cost unit my customers have extensive experience with. First Data FD130 or FD35, a pin pad peripheral; compatible only with First Data. I’ve never been a fan of buying a terminal that is processor specific. There’s a multitude of reasons a business might need to change processors at some point. Which EMV terminals are compatible with CenPOS payment platform? Verifone MX915 is certified with First Data today; more processors are in progress. For multi-lane, yes. Without it, repairs are usually 8 weeks plus, and start at $150 average just to assess the problem. That brings the starting price to about $650 with all peripherals, programming, and 5 year warranty. For desktop, it depends on how mission critical it is. If you don’t have an overnight replacement guarantee or backup plan, you’ll have no way to accept payments while out for repair. This might be OK if you have multiple terminals, but not if it’s the only way to accept payments. Where can I buy terminals? Your merchant account salesperson can handle everything. If you buy from a 3rd party, make sure it’s a reputable source. Terminals have been injected with malware so buyer beware. Additionally, terminals may need to be injected with confidential pin debit or P2PE keys at a secure approved facility. Click here to learn about the $100 American Express EMV Upgrade Rebate. Multi-lane signature capture terminals require a payment gateway to function. Contact us for omnichannel payment gateway to use standalone or with light integration to any POS. ERP or accounting software. Our solutions segregate payments from your applications to reduce PCI Compliance scope. This entry was posted in Equipment-POS and tagged emv, ingenico, multilane, pci compliant terminals, verifone by Christine Speedy. Bookmark the permalink.